If you have some pesky critters running around your property, then you are going to want same ammo that can take them out quickly and cleanly. Winchester's 22 WMR rounds with 30-grain V-Max bullets are just the thing for the job. 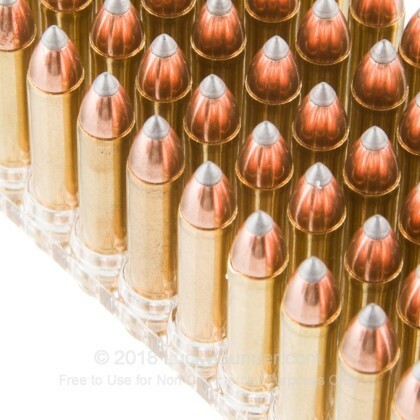 These bullets are capable of humanely killing anything from a prairie dog to a coyote, and can even be used on smaller wild boar that are still in infancy. The V-Max bullet was designed by Hornady for effective hunting and is available in multiple calibers. V-Max bullets have a polymer tip which is designed to create devastating expansion and fragmentation in soft tissue. 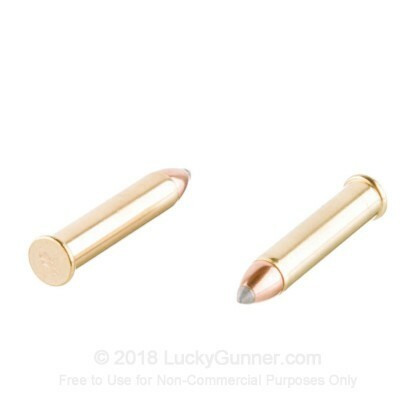 The 30-grain V-Max bullet in this load has a muzzle velocity of up to 2,250 feet per second in rifles; this high muzzle velocity ensures complete expansion and fragmentation during entry into thin-skinned game. Winchester has been a top name in the American shooting industry almost since its establishment in 1866. 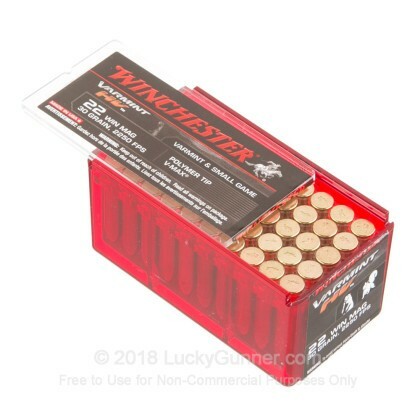 If you want ammo that won't let you down when you need it most, then you need Winchester ammo. 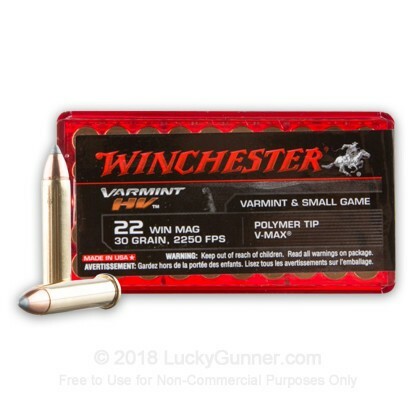 We don't have any reviews yet for this particular .22 Magnum (WMR) ammo from Winchester. 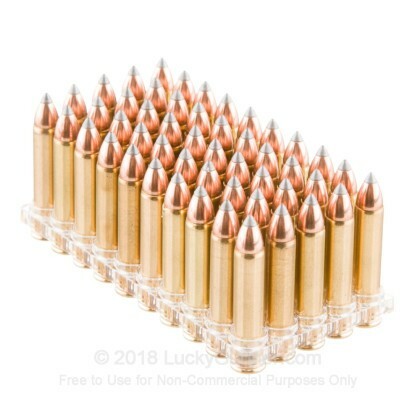 If you'd like to be the first to review this particular .22 Magnum (WMR) ammo from Winchester, fill out the form below. Please click here for our current in stock specials on .22 Magnum (WMR)! 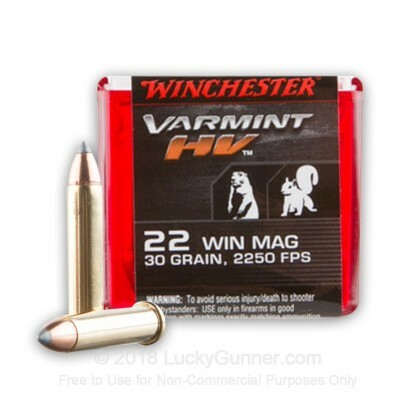 We also have this 22 WMR - 30 Grain V-Max Winchester Varmint HV - 50 Rounds ammo in stock in a smaller quantity.